At this year’s Architectural Digest Design Show, Cocobolo Design featured one of our HearthCabinet® Luxury Ventless Fireplaces in their booth! 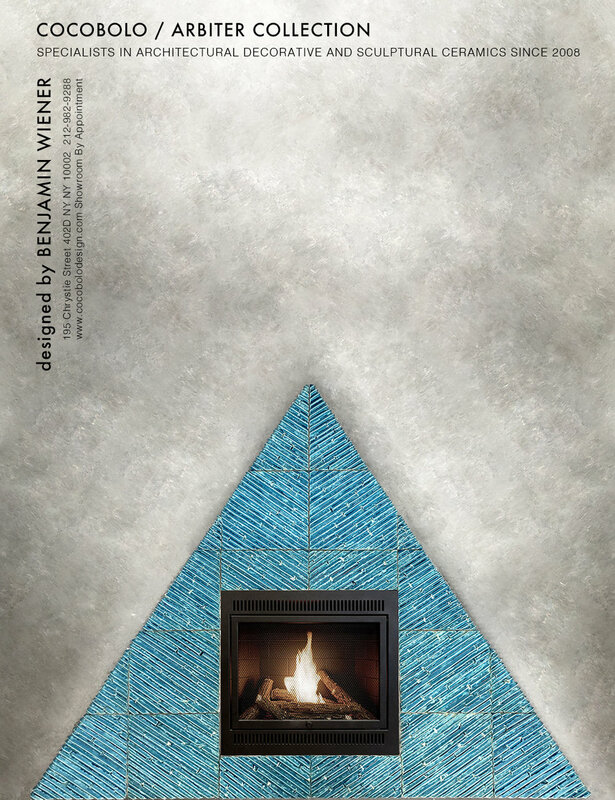 Principal, Benjamin Wiener, designed an extraordinary triangular ceramic surround in a beautiful, vibrant blue. This structure complemented the other hand-crafted pieces displayed in the booth in both color and composition. All of the items shown at the Arch Digest Design Show were a part of Cocobolo’s Arbiter Collection which included wall decos, sculptures and unique versions of household elements like tables, lamps and stools. Cocobolo has a team of talented artists and sculptors and does many collaborations in the interior design world. Their ability to match any project’s aesthetic is the reason why we love to work with them! Like our HearthCabinet® Luxury Ventless Fireplaces, Cocobolo works with a wide range of clients in the design community from residential to commercial to hospitality. We featured Cocobolo’s work shown in our Arch Digest Design Show 2017 booth designed by Wesley Moon. This piece is now on display in our NYC showroom. Thank you Cocobolo for your amazing contributions to both HearthCabinet® and the design industry. We can’t wait to see more! Our HearthCabinet customers are the best in the world and we love seeing how they use HearthCabinet Ventless Fireplaces in their projects, and often, their own homes. A Corcoran real estate agent and an Arch Digest photo editor used a HearthCabinet in their living room to add a touch of warmth and sophistication that only a beautiful fireplace can provide.